Founded in 2001 based on the idea that being and remaining local should be more important than going global, as in the increasingly globalized world we're living in, there's a detectable, ever-present risk of forgetting where we come from and what is so special and unique about our origins. Local focuses its collections on the use of materials, techniques and methods with a strong association with their place of origin. Natural hand-knitted wool, organic cottons, feather light gauze carefully and patiently embroidered by hands are the essence of Local. 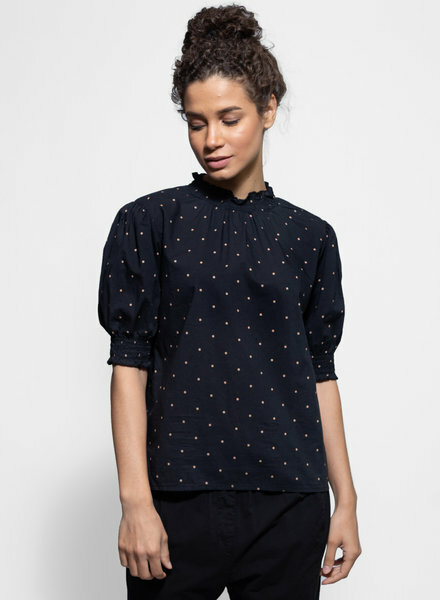 Relaxed fit, short sleeve top with colorful embroidered details at collar and sleeve. A relaxed fit, round neck top features 3/4 length sleeves and a button up from in a soft pink cotton. 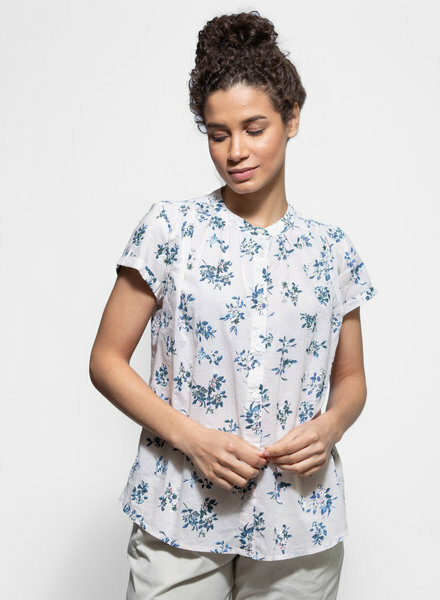 A short sleeve, button up top with cuffed sleeves in an all-over floral print. A short sleeve top with gathered elastic sleeves and neckline. A henley style, v neck top features 3/4 length sleeves with pintuck and lace details at neckline. 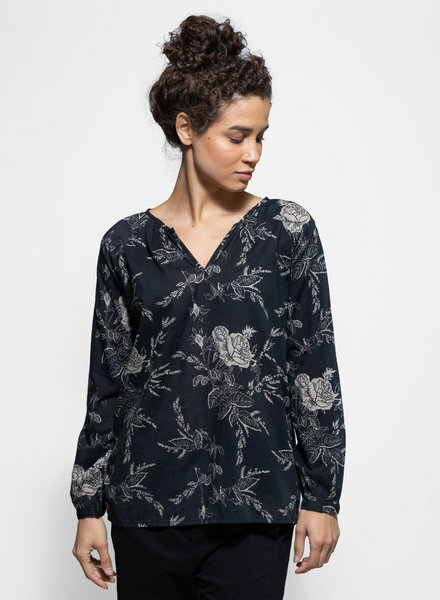 Long sleeve, v neck blouse with an all-over floral print. Sleeveless top with eyelet ruffle detail at neck and hem with button closure at back of neck. Sleeveless top with pintuck front bib, ruffle sleeve detail, and button front closure at neck in a soft pink cotton. 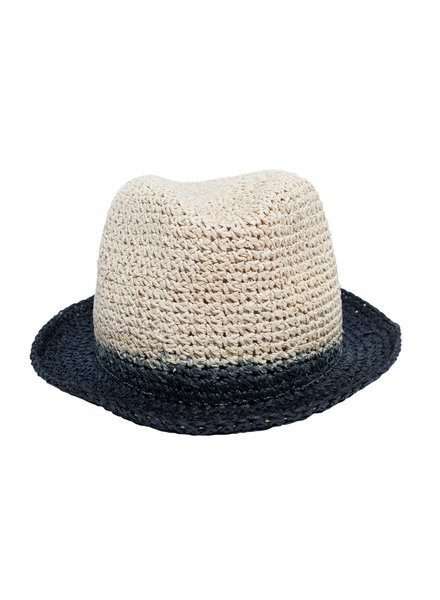 A fedora style hat with a black dip dye effect on brim. 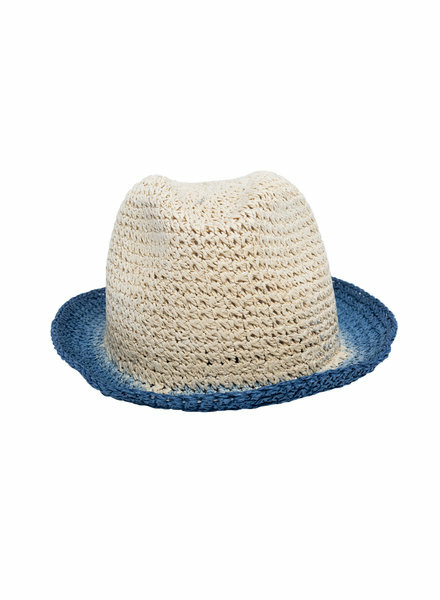 A fedora style hat with a blue dip dye effect on brim. A relaxed, short sleeve shift dress with a V neckline and raw fringe hem. Long sleeve, v neck maxi dress with elasticized waist and cuffs and an all-over floral print. 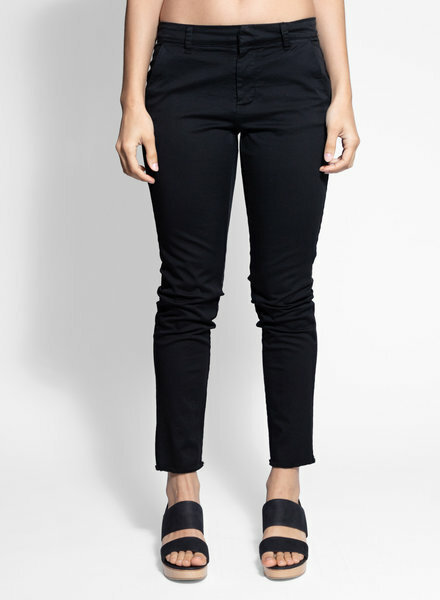 Ankle length, fitted pants with side and back pockets and raw hem. 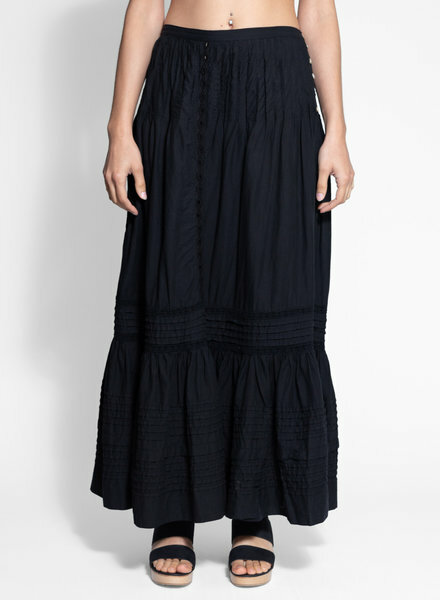 Long, tiered skirt featuring an elasticated waistband and side button closure with pintuck and lace embellishment. 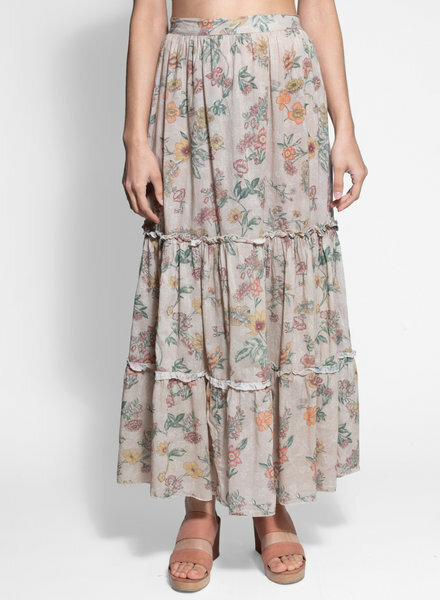 Long, tiered skirt featuring an elasticated waistband, side button closure and an all-over floral print.